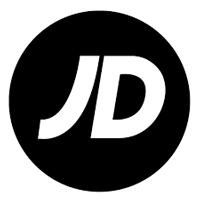 JD Sports Fashion Plc (LON:JD), the leading retailer of sports, fashion and outdoor brands, today announced an update on performance following the Christmas trading period. We are pleased to report further significant progress in our international development with total sales growth for the cumulative 48-week period to 5 January 2019 of 15% across our global Sports Fashion fascias (excluding the recent acquisitions of Finish Line in the United States and Sport Zone in Iberia). The total like for like sales growth in these fascias for the same 48-week period is now more than 5% including a consistently positive like for like performance across Black Friday and the Christmas period. 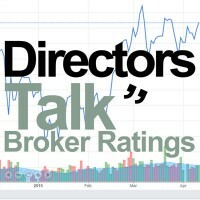 Gross profit margins have been maintained at prior year levels as we continue with our policy not to enter into short-term reactive discounting unnecessarily. Given the well-publicised challenges within the wider UK retail market, we are pleased with this trading result which further demonstrates the robust foundations of our dynamic multibrand multichannel proposition across our core market and our capacity for further growth across an expanding geographical reach. During the second half we opened our first two stores in Thailand and shortly before the key holiday period we also opened our first five JD stores in the United States which includes the conversion of three existing Finish Line stores. It is too early to draw any conclusions from the early performance of JD in the United States although we are encouraged by the developments to date. This initial performance has given us the confidence to extend our initial trial of the JD fascia with the conversion of up to 15 further Finish Line stores planned for the first half of 2019. We are also encouraged by the ongoing performance of the wider Finish Line business which has delivered improvements in both sales and margin relative to the prior year. We remain confident that we are well placed to exploit the ongoing opportunities that exist to improve the future profitability of this business. The first phase of works to fit out the 352,000 sqft extension at our primary Kingsway warehouse has now been completed enabling a partial use of the additional space. Works to install the additional automation equipment are ongoing with completion scheduled for late Spring 2019. The transition to the enlarged site has inevitably caused some labour cost inefficiencies in our operations but, notwithstanding this, we are confident that our headline Group profit before tax for the year ended 2 February 2019 will be at the upper end of published market expectations, which currently range from £325m to £352m. The preliminary results for the year ended 2 February 2019 will be published on 16 April 2019. “I am pleased with the continued progress of the Group both in terms of our performance in existing markets and the recent positive developments in the United States. We are confident that domestically and internationally, in stores and online, our unique and often exclusive sports fashion premium brand offer provides a solid foundation for future development.